Many people use gyms to prevent injuries as they age and increase their general fitness and health levels. However, not everyone leaves a gym in a better condition in which they entered. 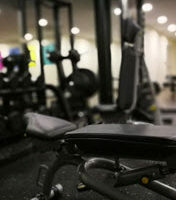 Fitness gyms can become crowded and hazardous if not properly maintained and supervised. People have to navigate safely between lifting machines, free weights, cardio equipment, and other amenities. An experienced West Palm Beach attorney may be able to offer important legal assistance if you were injured in a gym accident. Injuries happen while working out. You may lift a weight too heavy and cause a shoulder tear or take a misstep while doing a cardio session and pull a hamstring muscle. A gym may be held accountable if it does not protect its members or guests from foreseeable harm. If a gym does not have proper cubbies and places to store equipment, then tripping becomes a hazard. Sweat on slippery floors must be cleaned to avoid a fall. To prevent falls, a gym may require a dress code that includes close-toed shoes/sneakers, wipe up any puddles, and use non-stick mats that absorb the shock for anyone doing plyometric exercises. Does Your Gym Take Necessary Safety Steps to Reduce The Risk Of Injury? Train staff for medical and emergency procedures. Many of these injuries are also caused by non-sports movements, such as falling down a flight of stairs, slipping on a puddle, or injury from the malfunction of a gym apparatus. Falls can also lead to traumatic brain injuries, which have serious lasting effects. If you leave a fitness facility with an unexpected injury, it is time you talked to a trusted West Palm Beach personal injury attorney. Contact Celeste Law Firm at 561-478-2447 for a free consultation about the circumstances of your injury and the potential for compensation.